We all know what it's like to be nervous when we have an exam or performance, but how can we successfully control our nervousness so that it doesn't affect our playing? Notice that this post is entitled, "How to control nervousness", not "How to get rid of nerves". You can't get rid of nerves. However you can be familiar with nerves so that you know how to control them and when you get nervous as you play, you recognize what is happening to you. Some of you might start physically shaking, others start playing faster or more quietly and inwardly. You need first of all, to remember what happens to you and then deal specifically with that. Then you need to identify why this is happening. It all comes back to the "fright and flight response" which is a biochemical reaction that both humans and animals experience during intense stress or fear. The nervous system releases hormones that cause changes to occur throughout the body. This however can work to your advantage. Increased adrenaline in your body can help you concentrate better. You do need however, to be able to control these changes in your body so that they do not overcome you. 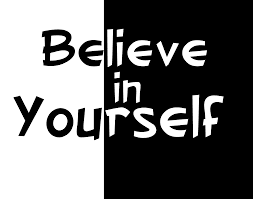 Key to controlling nerves is "self belief". You need to have confidence in yourself and this comes from being prepared. You know that you can play this piece, you have done all those hours of practice, so there is no logical reason why someone listening to you should make you play worse. Also try to play in front of other people at any opportunity. The more familiar you are with this experience, the less of an effect it will have on you. With this in mind you could video yourself playing and have it included on our MusicOnline UK stage, a FREE platform for our subscribers to showcase their performances. You'll be surprised how closely, playing for a video recording resembles the stress of playing for an exam or concert. Email us at musiconlineuk@gmail.com for more details. Then, I would recommend trying to immerse yourself in the music, in expressing your emotions through your performance. You have done enough preparation that your muscle memory will take care of the physical playing of the notes. FORGET about the notes. Enjoy the music. There are also physical things you can do. One technique is called square breathing. Just before you are about to play, find a square or rectangular object in the room. From the top left, follow with your eye the line across the top as you breath out whilst counting to 5. Then follow down the right side of the square, whilst breathing in deeply, again counting to 5. Then out again crossing along the bottom and in again going up the left side. Not only does this slow breathing help to relax you, but it refocuses your mind away from that which is giving you stress. Another physical technique, is to close your eyes and imagine your whole body from top to bottom relaxed. Start at your neck. Is there any tension there? Release it as you slowly breath out. Then work your way down, consciously relaxing every muscle in your body with every out-breath. I would be very interested about YOUR experiences with nerves and what you find helpful in controlling them. So please leave a comment that might help someone else.